It appears Google’s keynote tomorrow at I/O will be so jam packed with announcements that a few of them have been pushed up to today, including changes that are coming to Android Auto. Google is also including media search enhancements. To explain, new search capabilities allow media apps to directly integrate their results into Android Auto. This means drivers can quickly discover tracks that are related to whatever they’re currently listening to, such as a song’s live version, or a song with the same name from a different artist. 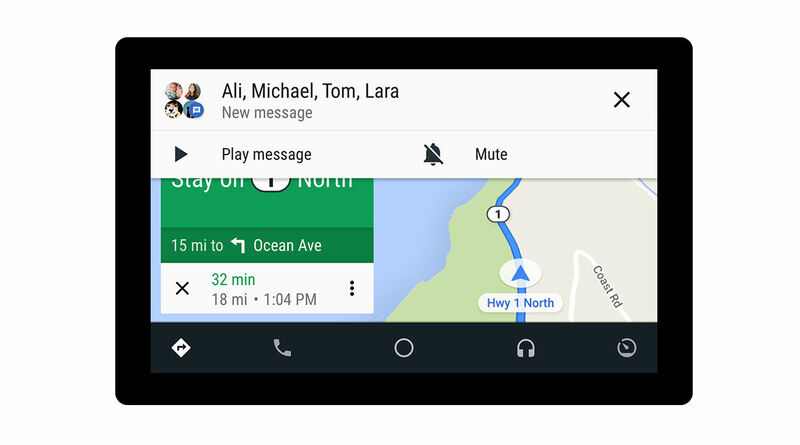 In this upcoming change, Android Auto will support group messaging and RCS. Thanks to the already supported Google Assistant, drivers can control all of their messaging while remaining hands free and watching the road. For us users, none of these changes have a timeframe, but if you’re an Android Auto developer, you can sign up to get started right here.